On a roster that seems to always lack quality, top-level baby face characters, Randy Orton is beginning to emerge as the improbable “good-guy” opposite Seth Rollins in their current feud. Currently, WWE is allowing Roman Reigns to get back into the audiences’ good graces as he feuds with mid-card performers, with the end goal most likely being a WWE World Heavyweight Championship victory that the WWE Universe accepts with open arms. With John Cena standing atop the United States Championship division, the main event scene is missing key baby face characters. Although he is a heel performer by nature, the new anti-establishment characteristics Orton has been implementing as of late have quickly helped him to become a favorite of the WWE Universe. Facing such an experienced opponent in his first defense of the World Heavyweight Championship will also assist Seth Rollins in his quest to be viewed as a worthy champion. Randy Orton’s RKO frenzy on this weeks’ episode of Raw helped to further emphasize his role as an anarchist, considering the popular finishing move will be banned at Extreme Rules. Orton has been able to remain effective during his feud with Rollins since the storyline has more of a focus on his destruction rather than his promos. 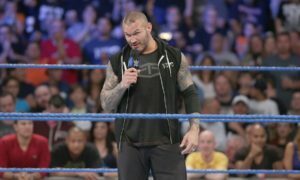 Orton is an amazing in-ring performer; however, he sometimes fails to connect with the audience on the mic. He should always be allowed to let his physicality do the talking for him, which is something that gives any feud he is involved the ability to captivate the fans. Annihilating any person that was in his crosshairs was an excellent way to get the audience more invested in the characters’ newfound “antihero” status as well. It also allowed Seth Rollins to gain even more heat heading into Sunday for banning the RKO at Extreme Rules. Orton’s ongoing rivalry with Rollins is the perfect way for the new World Heavyweight Champion to accomplish his long-standing mission of becoming the top star within WWE. 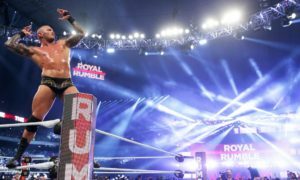 Orton’s previous status as the face of WWE, as well as being the face of The Authority, adds even more storytelling quality to a Seth Rollins victory. After defeating Orton once and for all, Rollins would then have the ability to further establish himself as the new top star of the company in the eyes of The Authority, as well as the WWE Universe, since Orton pulled out a huge victory over him at WrestleMania 31. Seth Rollins will have finally gotten his revenge against his biggest adversary so far, Randy Orton. The Orton and Rollins feud has been drawn out for months now, and a Steel Cage Match at Extreme Rules is the ideal setting to bring the story to a close. A Rollins victory would be viewed as more than a successful first title defense; it would finally signify his success over Randy Orton on the whole. This feud has cemented the fact that both men are elite performers that have amazing in-ring chemistry. In addition to the storyline benefits that would come as a result, a Rollins victory will also increase his credibility as WWE World Heavyweight Champion. Rollins needs to use Orton’s’ star power to establish himself as a deserving champion so early on in his title run. Randy Orton is currently doing his part to set Rollins up perfectly for one of the most important wins of his career thus far. Seth Rollins works perfectly as a cowardly heel character, but the audience may stop viewing him as a legitimate champion if he fails to deliver stellar matches. Of course, we all know that is something he is perfectly capable of doing, and considering their phenomenal chemistry, a victory over Randy Orton is an ideal outcome for Rollins’ inaugural World Heavyweight Championship title defense.